While the 2012 season of the Indian National Rally Championship was something the FMSCI might have wanted to forget, the 2013 season of the INRC looks like it's all set to turn into a season that will be memorable for many reasons. The first two rounds of the championship  the South India Rally and the Rally of Maharashtra were well attended and had action aplenty. After all, there were new manufacturers, new cars, new drivers and terrific battles being waged on the rally stages. 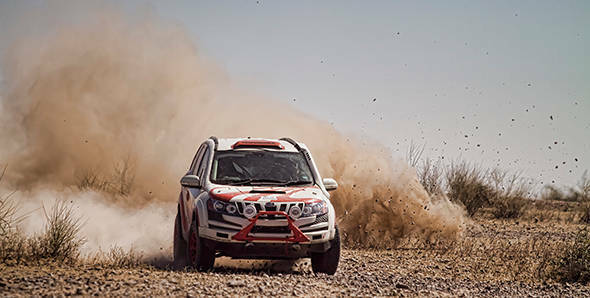 Can Gaurav Gill pilot his XUV to the 'fastest car of the rally' title once again? No, it's the Mahindra SuperXUV. Indian rally fans aren't quite used to having such leviathans yumping around rally stages in the country. Well, bulky or not, the SuperXUV has proved that it has what it takes to challenge every other machine on the course. Although the SuperXUVs compete in a category all by themselves - the SUV National Rally Championship (SUVNRC) - they have also managed to be the fastest cars at both the rounds of the championship so far. Indeed it was the Mahindras that led by over two minutes at the South India Rally, repeating the feat at Nashik as well. And there's every reason for us to believe that they can manage to do exactly this at the Coimbatore Rally as well. Why, you ask? Other than the fact that the car itself is quick, you just need to take a look at their driver lineup  Gaurav Gill (co-driven by Musa Sherif), Sunny Sidhu (co-driven by PVS Murthy) and Lohitt Urs (co-driven by Bonnie Thomas). Formidable, is what we say. There's another major change in the INRC too  and that's the advent of the Volkswagen Polos. Since the cars have been homologated for rallying, the Polos have suddenly appeared in great numbers and can be seen dotting the Parc Ferme at rallies. Indeed, at the second round of the championship at Nashik there were as many as eight Polos from privateers and teams as well. And some of them are very quick. 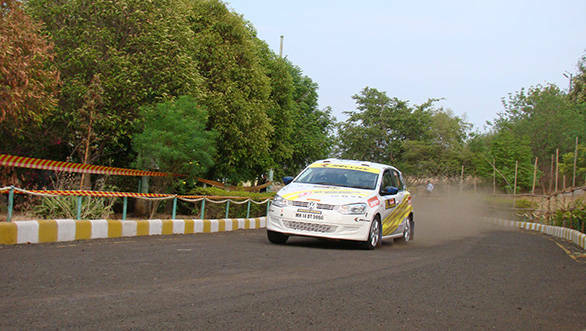 We think you ought to keep an eye out for the Polo of Karamjit Singh (co-driven by Jagdev Singh). After all the Flying Sikh is known as one of the fastest drivers in this part of the continent, having won the Production World Rally Championship in 2002. However, Singh isn't competing in the INRC, instead he is competing in the IRC. While the regulations stipulate that the IRC category, is usually open to Indian drivers in foreign cars (up to 2500cc Group N), there is also a provision for foreign drivers to pilot Indian cars as well, however they will be excluded from the championship. And it is in this class that Singh will take part. There's another driver, however, who is gunning for the 1600cc INRC title from behind the wheel of a Volkswagen Polo. 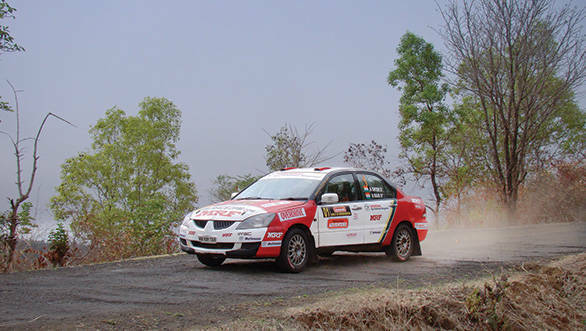 Arjun Rao Aroor (co-driven by Satish Rajagopal) began his assault on the round at Nashik when he set the fastest time during the Super Special Stage on the Friday. And he had a relatively smooth run to the podium, finishing third in the event, but won his class. After having taken a break of a year from rallying in 2012, Aroor is determined that 2013 will be his year. But there's competition aplenty. Amittrajit Ghosh is one person we would be very afraid of, if we were taking part in the INRC this season. You see, Ghosh has the confidence of having won the (truncated) title last year. Add to that the fact that he has also won the first and second round of the championship so far and things are looking good. Ghosh also appears to have great faith in his Mitsubishi Cedia, telling OVERDRIVE that there was plenty of fight left in his steed, saying "There's still hope for my humble Cedia to perform well in the next three rallies." We're sure he's eager to prove himself right, and Coimbatore might be where he makes it three wins of three rallies. There are several other drivers to watch out for in the INRC. Some of them might not be from prominent teams, but they still look very promising indeed. Let's start with young Dean Mascarenhas. All of 20 years old, Dean, born in 1993 is the youngest competitor in the INRC. The season so far hasn't really gone according to plan for him, with two DNFs of the two rallies, but there isn't a single person in the rallying fraternity who will deny the fact that this here is one quick rally driver. At Coimbatore, Dean will be eager to ensure that his season takes a volte face. With age on his side, all this one needs is backing from a full fledged team. Another driver to watch out for in the 2000cc class is Phalguna Urs. It's not been the easiest of starts for Phalguna in the INRC, and he had quite a scary crash in the Windmill Stage of the Rally of Maharashtra. 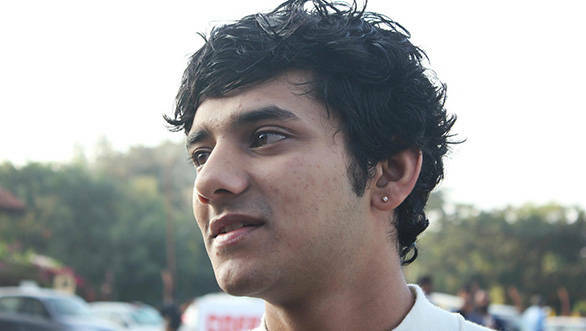 However, Coimbatore might be where he finds his footing and begins a proper attack on the championship. Catching up with the likes of Ghosh doesn't look easy at the moment, however, podiums aren't out of reach. In the Junior INRC, we'd keep our eyes peeled to see whether or not Asad Khan (co-driven by Zayne Asrar) can make it to his third podium in three rallies. After finishing second in the first round at Chennai, and winning in Nashik, Khan is looking strong. There you have it - the third round of the INRC looks set to be exciting - the battle for the championship is heating up and we'll see you at the stages!